BELLEVUE, WA --(Marketwired - August 24, 2016) - Auth0, the leading universal identity platform, today announced it has raised $15M in a Series B financing led by Trinity Ventures in May of this year. The new funding follows a year of strong growth for the company which saw revenue increase by 5x, and saw global industry leaders like Dow Jones, CenturyLink and Telkomsel subscribe to the service. The additional funding will further accelerate the growth of Auth0's identity platform and aid in the launch of additional, advanced security features for customers. As part of the financing, Trinity general partner, Karan Mehandru, has joined the Auth0 board of directors. 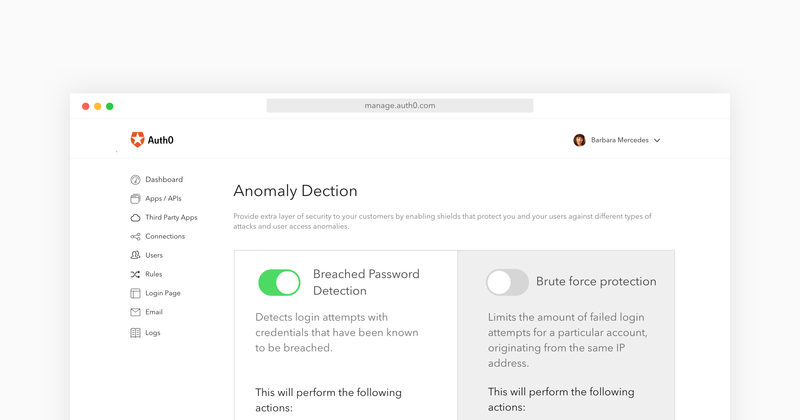 Also announced today is the introduction of Auth0's Breached Password Detection capability, a new addition to its Anomaly Detection security feature set. Breached Password Detection allows subscribers to automatically detect and notify end-users when the password they are using has been compromised at a 3rd party site. Subscribers can optionally prevent access or require step-up authentication to their own website, platform or product until a password reset has been completed. Staying true to Auth0's promise of making identity implementation and management easy for developers, the feature can be turned on with one click, is fully production-ready and is now available to all subscribers. "Identity is an asset. Unless it's not secure -- and then it can become a liability," said Jon Gelsey, CEO of Auth0. "Since Auth0 was founded 4 years ago we've provided subscribers with a frictionless way to implement strong identity security. This new funding will help fuel product development focused on even stronger security for our subscribers, which include the features available within Auth0's Anomaly Detection suite." Implementing and managing identity for a business is no small feat, even in the simplest of scenarios. Auth0's mission is to make it painless for developers and IT administrators to implement strong identity for their enterprise without the fear of inadvertently exposing an identity security vulnerability. Auth0's identity platform removes friction for developers, not only drastically accelerating the implementation of authentication and authorization, but also enabling them to turn on security features like Multifactor Authentication, Passwordless Authentication, and now Breached Password Detection with just one click, saving weeks or months of development time and reducing risk for their business. "Authentication is the linchpin for all software applications. 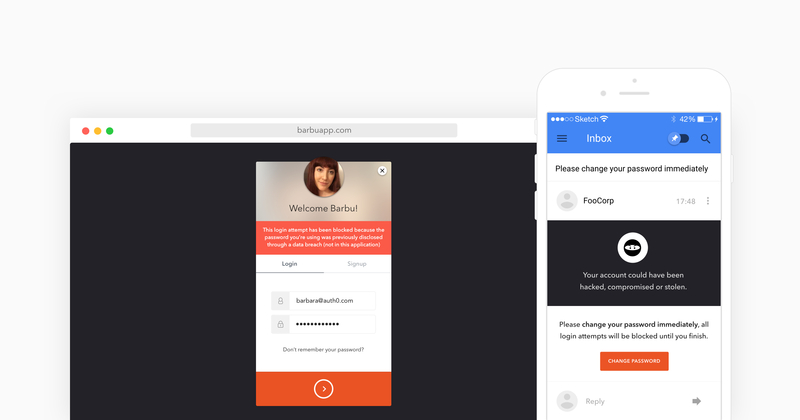 We were blown away by Auth0's product," said Karan Mehandru. "It combines broad and deep functionality that the largest enterprises require, and the ease of use and out-of-the-box user experience that end users desire, delivered as a service to customers around the globe. The impressive revenue traction is a product of that unparalleled dedication to the company's mission of owning authentication as a service and making it seamless. Trinity is thrilled to partner with such a stellar team and to provide the fuel for explosive growth." Auth0's Series B funding of $15M, in which existing investors Bessemer Venture Partners, K9 Ventures and Silicon Valley Bank also participated, adds to its previous $9M in Series A funding raised in June of 2015 and brings its total raised to $24M, a capital position further buttressed by a robust credit line from Silicon Valley Bank. Over the last 12 months Auth0 has been in accelerated growth mode, opening an office in London to serve the EMEA region, expanding its business in Asia, more than tripling employee headcount and launching new platform features. The Series B funding will help Auth0 further extend its reach as an identity-as-a-service platform offering deep security-as-a-service features to meet growing subscriber demand. Trinity Ventures is a top-tier venture capital firm combining business insight, practical expertise and a personal touch to help start-ups win big. For over 12 funds, Trinity has helped passionate entrepreneurs with breakthrough ideas transform markets and lives. Trinity's investment team takes a collaborative approach and believes in personal engagement, mutual respect and goal alignment to deliver out-sized returns to entrepreneurs and investors. The firm invests in early stage technology companies with emphases on Cloud, Digital Media, Social Commerce and Entertainment, and Software as a Service. To learn more visit: www.trinityventures.com.